InTruBeauty: Vote for me Please! You can vote for me here http://bit.ly/HtmaOY for Too Faced "You Can Never be Too Bronzed" Contest. 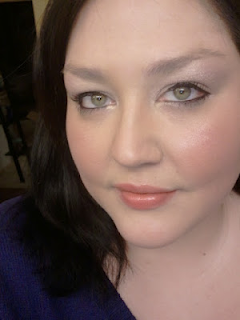 I created this look using their amazing Pink Leopard bronzer. Check out my full review of the Too Faced Natural Flirt Collection which included a full size of this bronzer! Don't forget to come back and vote every day!